Pharmaceutical Sciences Graduate Students must fulfill a core curriculum consisting of three introductory courses as well as course requirements in scientific ethics and seminar. Beyond this foundation, each student is expected to attain a depth of knowledge in their area of expertise (Drug Action, Drug Delivery, or Drug Discovery) and to work with their Thesis Committee to identify elective courses that will provide this desired depth. Principles of Pharmaceutical Sciences 718-780 3 cr. Provides an overview of the drug development process and essential development components; taught by multiple Pharmaceutical Sciences Division faculty. Exposes students to cutting-edge research in drug discovery, action, and delivery. Taught from the perspective that first-semester graduate students have diverse backgrounds, and that many will eventually work in the pharmaceutical industry. Focus is placed on practical information and crucial underpinnings in chemistry, biology, physical chemistry, and engineering. Students are strongly encouraged to be inquisitive and to communicate, asking questions and entertaining comments outside their areas of expertise. Prerequisite: First-semester student in the Pharmaceutical Sciences Graduate Program. Cellular Signal Transduction Mechanisms 200-630 3 cr. Overview of signaling; receptor pharmacology; cell surface receptor synthesis and trafficking; signaling in the unfolded protein response pathway; G protein-coupled receptors (GPCRs) and their function; Arrestin scaffolding; regulation of the cell cycle; cAMP and DAG regulated protein kinases; insulin receptor signaling and regulation; PDGF receptor and signaling pathways; calcium regulation of cell function; growth factor receptors; proteolysis; programmed cell death; nuclear factor kB modules; signaling into the nucleus; transcriptional control; nuclear receptors; ligand activated transcription factors. Prerequisites: Introductory biochemistry and cell biology. Introduces the student to basic tools and concepts used in the pharmacokinetic, pharmacodynamic and pharmacogenomic characterization of drugs in living systems using a physiologically based conceptual approach. Physiologically based biopharmaceutics; pharmacokinetic models; non-compartmental pharmacokinetics; physiologically based pharmacokinetic models; species scaling; pharmacodynamic models; pharmacogenomics; use of Berkeley Madonna to develop computer simulations for these topics along with sensitivity analysis, curve fitting, residual analysis, residual plots, noise analysis, and error analysis procedures. Prerequisite: Consent of the instructor. Natural Product Synthesis, Biosynthesis & Drug Discovery 718-786 3 cr. Synthetic methods in natural product synthesis and drug discovery; strategies of natural product synthesis; chemical biology; medical chemistry. Prerequisites: Intermediate organic chemistry and two semesters of introductory biochemistry or consent of the instructor. Research Ethics: Scientific Integrity and the Responsible Conduct of Research 726-800 3 cr. This course familiarizes students with basic ethical issues surrounding biomedical science research through readings, overview lectures at the beginning of each class and in-class discussion of case studies. Prerequisite: Graduate student in the School of Pharmacy or consent of the instructor. Pharmaceutical Sciences Seminar* 718-931 & 718-932 1 cr. This weekly seminar is a requirement each fall and spring semester throughout one’s Pharmaceutical Sciences graduate career. Students select one section of the course to attend (Drug Discovery, Drug Action, or Drug Delivery). The seminar series is designed to provide graduate students with a diverse array of topics both inside and outside the scope of his/her projects. Seminar speakers include invited guests (nationally and internationally recognized scientists from academia and industry) of Pharmaceutical Sciences Division faculty, and include speakers able to appeal to the interdisciplinary breadth across the division’s research. Further, beginning in one’s second year, PharmSci graduate students are expected to present an annual seminar, providing an update of his/her research and research directions. Graduate students provide feedback on their peers’ research and, as presenters, receive such constructive feedback. Three additional course credits from the Drug Action, Drug Delivery or Drug Discovery Elective lists outlined below are required. Each student is expected to attain a depth of knowledge in their core area of expertise. 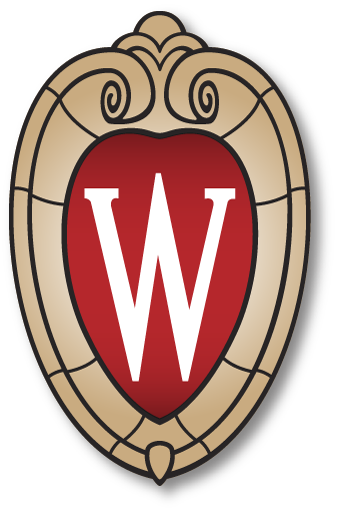 To view a complete listing of courses with descriptions offered by the Pharmaceutical Sciences Division, visit the UW-Madison Course Guide, and type “Pharmaceutical Sciences” into the search field provided. Attend one of our weekly seminars featuring current research developments across the pharmaceutical sciences.